Recently, I preached a sermon on Colossians 3:17 - “And whatever you do, in word or deed, do everything in the name of the Lord Jesus, giving thanks to God the Father through him.” (Emphasis added) I think this may be the most revolutionary command in the New Testament. If somehow, by God's grace (see Colossians 3:16), we were enabled to obey this command, I believe our lives and the lives of those around us would change in ways we really can't imagine. This, I think, is the "coming" of the Kingdom we so often pray for as Christians. Thanks to F.F. 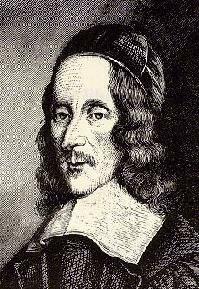 Bruce's commentary on Colossians, I ran across this poem by George Herbert: "Elixir". Hebert's poem is like a rock tumbler: read it, and your soul is thrown in the tumbler with "in the Name of Jesus."